The Pyrenean Ibex became extinct very recently in 2000. They were very abundant with a population of 50,000 but this dropped to about 100 in the 1990s. Scientists cloned a Pyrenean Ibex, making it the first species to become no longer extinct, but the baby died shortly after birth due to a lung problem. 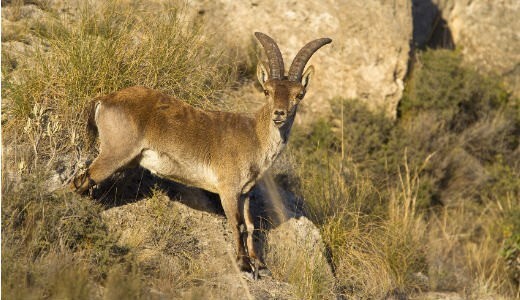 The Pyrenean Ibex was one of 4 sub-species of Ibex. Extinction probably due to disease and poaching.